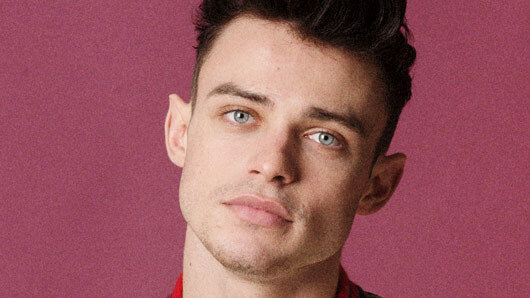 The Lodge star Thomas Doherty has teased new details about his “evil” new character in the upcoming Disney sequel Descendants 2. Doherty is portraying Harry Hook in the new film, which centres around the children of Disney’s biggest baddies. In the world of Descendants, villains such as Malificent and Jafar are exiled with their families to the Isle of the Lost, while heroes live happily in the beautiful Auradon. As you might be able to tell from the name, Harry is the son of Peter Pan‘s Captain Hook, and, according to Doherty, he is not a great guy. It’s a far cry from the role Doherty is best known for, his portrayal of outdoorsy Sean in The Lodge – the recent Disney series described as the “British High School Musical”. Asked if he enjoys playing the villain, Doherty said: “Well that’s a weird question, but yes I do! The Winter issue of Wonderland is available now and also features interviews with Doherty’s The Lodge co-stars Sophie Simnett and Luke Newton, who play Skye and Ben. The Winter issue of Wonderland is on sale from today (December 7). The Lodge airs on Disney Channel.